Rustic Pathways Children’s Home was formed in 2001 when David Venning – the Chairman and Founder of Rustic Pathways – stumbled across the Baan Rai School, which provides an education and support system for more than 300 Karen Hill Tribe children. Since then, Rustic has supported this school and come to love these children and the amazing teachers who sacrifice so much to give them an education and an opportunity for a better life. They are respectful, gentle, happy young folks with great spirits and broad smiles. Through no fault of their own, their opportunities have been extremely limited and their futures are often uncertain. These children deserve something much more than what they have. Currently, RPCH cares and provides for 28 Karen Hill Tribe children. Our Mission is to provide a comfortable home, healthy food, educational assistance, and a nurturing environment for Karen Hill Tribe children who are without educational opportunities in their home-villages, and to assist these children as they grow into young adults and transition into independent living situations and meaningful, ethical employment. To welcome student visitors from other countries and build cross-cultural understanding by allowing these visitors to join our Karen students in learning, playing, sharing, and understanding each other’s cultures. Life and Hope Association (LHA) is a non-profit, non-governmental and an education-focused organization. It was established in 2005 and run by monks of Wat Damnak in Siem Reap, Cambodia. We are committed to breaking the cycle of poverty by providing compassionate care and access to education to the poorest and most vulnerable in Cambodia – especially children and disadvantaged young women. We believe that at the root of all suffering is ignorance, and that loving care and a good education can provide a way out of poverty. Reflecting this philosophy, at the core of all LHA’s programs is a commitment to compassionate care and continuing education. For the children of Kibera, one of the world’s largest slums, the only way out is through education. The Children of Kibera Foundation is dedicated to helping these children receive a quality education. The Red Rose School is our major project serving orphans and vulnerable children of elementary school age. The Red Rose School was opened to offer children, all of whom are poor and some of whom are orphans, a place to learn. Red Rose receives no government funding. Families who can afford to pay something make incredible sacrifices to keep their children in Red Rose and out of the public school alternative. Children who cannot afford to pay tuition rely on the Children of Kibera Foundation and on the generosity of donors. Children everywhere deserve to go to school. Africa Schoolhouse is dedicated to helping children in remote parts of Africa gain access to life-changing education. This is achieved by building sustainable school communities for children in under-served areas of Africa. The goal is to aid the progress of learning using technology and environmentally conscious methods while safeguarding the traditional teachings of cultural heritage. The Robert F. Kennedy Center for Justice and Human Rights is one of the foremost international human rights organizations. The RFK CENTER’s core programs focus on the power of the individual, working through alliances and organizations, to generate change. Programs at the RFK Center such as Partners for Human Rights, Speak Truth to Power, and Compass continue to honor the legacy of Robert Kennedy by making an impact in marginalized communities throughout the United States and around the world. The Will to Live Center, a Social Enterprise, operates in the field of supporting and assisting people living with disabilities’ integration completely through training, orienting and consulting in order to help disabled people find suitable jobs and sources to consume their products. By doing this, the handicapped will build up their confidence, find it easy to integrate into community and lessen social and familial burdens. General Welfare Pratisthan (GWP) is a non-profit developmental organization committed to making lasting positive changes in the lives of marginal populations. Since 1993 GWP has been consistently working for social welfare in Nepal. Covering approximately 500,000 beneficiaries through multi-sectoral programming, GWP operates in 20 districts of the Capital, Central, and Mid & Far Western Regions of Nepal. Yolé! Africa is a center for artistic creation and cultural exchange based in Goma, Democratic Republic of Congo and Kampala, Uganda. Founded in 2000 by the Congolese filmmaker Petna Ndaliko and Dutch anthropologist Ellen Lammers, its mission is to promote peace through art and culture.Yole also operates as an exchange platform where young people from different backgrounds and social classes come together to express themselves through their talents. GO Campaign improves the lives of orphans and vulnerable children around the world by partnering with local heroes to deliver local solutions. GO Campaign connects donors to high-impact grassroots projects aimed at changing lives and transforming communities, one child at a time. GO Campaign identifies deserving Local Heroes throughout the world and partners with these grassroots organizations to provide children and young adults with critical services, resources and needed opportunities. We offer support and raise awareness about these small, highly-impactful organizations that might not otherwise come to your attention. 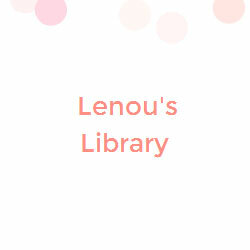 Lenou’s Library is the only public library for children in the Luang Prabang District, Laos. The library offers English courses and a quiet and safe place for the children to read and study. With a small computer lab in place, Lenou’s Library provides essential computer literacy skills to the children of Luang Prabang. Creative Visions Foundation is inspired by the life of Dan Eldon, an artist, adventurer and activist killed in Somalia in 1993 while covering the conflict as a photojournalist for Reuters News Agency. To honor his legacy, in 1998 his mother Kathy Eldon and sister Amy Eldon Turtletaub founded the Creative Visions Foundation, to help others like Dan use media and the arts to create meaningful change in the world around them. The flagship program, Creative Activist Program supports high-performing creative activist projects by providing critical guidance and resources to enable the realization of their vision. CVF then broadcasts the work of our CAP members so they can serve as models and examples for others to follow.